The Yaqui people have a long history rich in cultural traditions. Their traditional and spiritual value systems are based on the integration of Christian teaching with longstanding Yaqui ceremonies and beliefs. They are descendents of the ancient Uto-Aztecan people with homelands in Sonora, Mexico of which over 30,000 of them still reside. For nearly 200 years they fought the Spaniards and Mexicans to preserve the Yaqui way of life. In the 1800s, many of the Yaqui escaped persecution by traveling northward and settling in current-day Southern Arizona. In 1978 they received federal recognition as a sovereign nation and created their reservation community southwest of Tucson at New Pascua. Today there are 17,000 enrolled members and they're still growing! Please call 855-765-7829 for current rates. Call 855-765-7829 for rates and tee times. Contact Sewailo Golf Course at 855-765-7829 for more information and details on holding a golf outing at the course. Towering 10 stories above the Tucson desert, the Casino Del Sol Resort, Spa and Conference Center features elegant guest accommodations, luxury hotel amenities, and high energy gaming action and entertainment to the most discerning of travelers. Every guests need, want, and expectation is far exceeded in this intimate resort property that blends the best of leisure and business in a fun yet sophisticated atmosphere that is sure to please time and time again. Whether visiting for business, attending an event, or just getting away for a leisurely visit, rest assured that the staff of Casino Del Sol Resort will consistently deliver an unparalleled service experience with style, grace and attention to every detail in an ambiance that is second to none. Transcending beyond the treatments offered, the Hiapsi Spa and Fitness Center believes true healing comes with balancing physical health, emotional well-being, and spiritual renewal. The experience at Hiapsi Spa takes you on just that journey. Hiapsi is the Pascua Yaqui word for "heart and soul," and nowhere else will you have an opportunity to refresh yours with what will be a truly unique menu of services and treatments. Perhaps your visit starts with a vigorous cardio work out in the fitness room, followed by an herbal wrap or medicine wash. Bring a spouse or friend and enjoy a pairs getaway in our double treatment room. Need your nails done? No problem-stop by the full-service manicure and pedicure room. 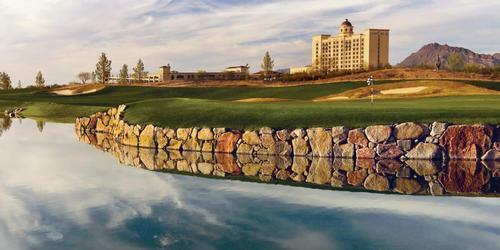 Watch the Casino Del Sol Resort Video. Watch the Sewailo Golf Course Video. This profile was last updated on 12/30/2018 and has been viewed 22,217 times.